Due to the popularity of our first ceramics workshop, Gopher decided to organize a second edition. 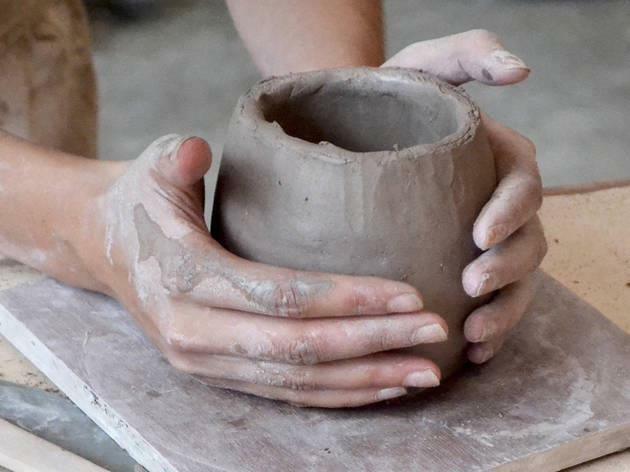 In this ceramics workshop, you will learn modeling and glazing using primary colors and transparent glaze. The 2-hour workshop will take place in the studio of the artist. You will be working in a small group (max. 10 ppl) in order to provide you with individual feedback on your creativity. When? May 14th from 19:00 until 21:00. Where? Kerkstraat 154. 9745 CM Hoogkerk/Groningen. How much? € 10 for PhDs (€ 20 for non-PhDs). Spots are limited (10 participants), so be quick to subscribe!